2017 was a challenging year for the shooting sports industry, yet was a very strong year overall compared to the last decade averages. Prior to the November. 2016 election the major players in the industry had to make decisions based not on their political preferences, but what on the reality of the market was most likely to be. The campaign of 2016 was an unprecedented attack on the Bill of Rights and the Second Amendment like never before. Even this year, it continues, with the miserable, moronic attempt to blame the Las Vegas tragedy (and violence in general) on the GOP and the NRA. The industry guessed that the politicians who have sworn to protect the Constitution would continue to attack it, and the polls all said this indeed would be the case. To not continue to address the lack of the industry to meet consumer demand would have been a horrible mistake, if what everyone believed what was going to happen didactually happen. Thank goodness it did not. As a result, though, with the election of Donald Trump and the appointment of Neil Gorsuch, people quite correctly breathed a sigh of relief, and moreover . . . a buying sigh of relief. Some companies (Savage Arms) decided to belatedly enter the AR-15 genre of rifles at the worst possible time. Not wanting to lose market share and also helping out their dealers, many major manufacturers have offered deep discounts and rebates. It has been brutal to the bottom line in many cases, but it has been a spectacular year for the savvy shopper. . . a year unlikely to be repeated anytime soon, as inventories go back to more traditional levels. Nevertheless, the industry has seen something in the area of a 20% drop in sales and a 50% drop in profit, some segments (Armalite rifles) being harder hit than others. Mossberg has re-entered the centerfire market in a big way with the Mossberg Patriot bolt-action line-up. The Patriot walnut models are about the best you can do for the dollar and I suspect they will be popular for a very long time. Smith & Wesson has knocked it out of the park with their improved M&P M2.0 pistols: the stiffer frame, industry-leading grip texture, and improved triggers combining to make these pistols right at best of breed. Fabarm USA's L4S autoloading shotgun line, my personal favorite hunting shotgun, has been expanded with their L4S Sporting model: it has superlative balance, clean machining, and is just plain fun to shoot. I'd expect a few more surprises from Fabarm this coming year. On the shotshell ammunition front, the Kent Bismuth loads are better performers than any steel loads, easy on chokes and barrels, and a lot less moolah than tungsten loads. Kent has a big winner here. Remington V3 autoloader, now available in walnut, is the best Remington autoloader ever, as far as I'm concerned. I expect the V3 line to grow as time goes by, and Remington has already announced their 870 detachable box magazine models that are certain to find favor in their HD / tactical segment. Of the expanding line of Remington handguns, my personal pick of the litter is the relaunched R51. After a long time in development, North American Arms has starting shipping their new break-top mini-revolver, the Ranger II. The initial offering is with a 1-5/8 inch barrel, with 2-1/2 inch and 4 inch barreled models to follow. The annual reinvention of firearms doesn't happen. The SHOT Show is always a fun event, but more and more manufacturers release product throughout the year when it is ready, sometimes at the NRA show, sometimes at the fall NASGW show, and a product announcement doesn't necessarily mean that it is shipping, or will be shipping in six months for that matter. As for those who have asked, “Is it all tactical?” . . . well, it sure looks like a lot of it is. Too many new offerings tend to get smacked with the ugly stick before their introduction. It is going to be an interesting year, a year of reorganization, and a year of eliminating slow-sellers. Weatherby has already dumped their 28 gauge SA-08 and Element autoloaders. The glut of Armalite-platform rifles and 9mm pistols in the market suggests that something has to give. 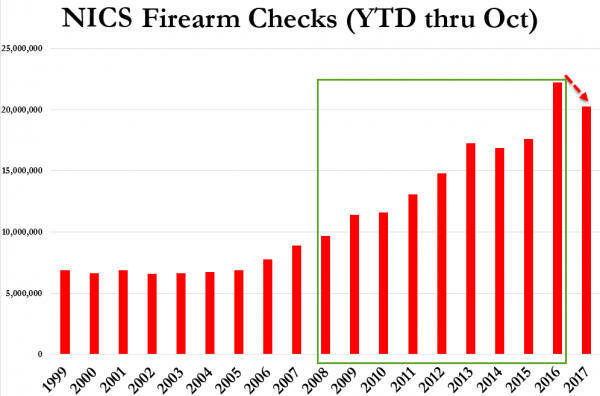 The so-called “entry-level” bolt gun market has never been more crowded.